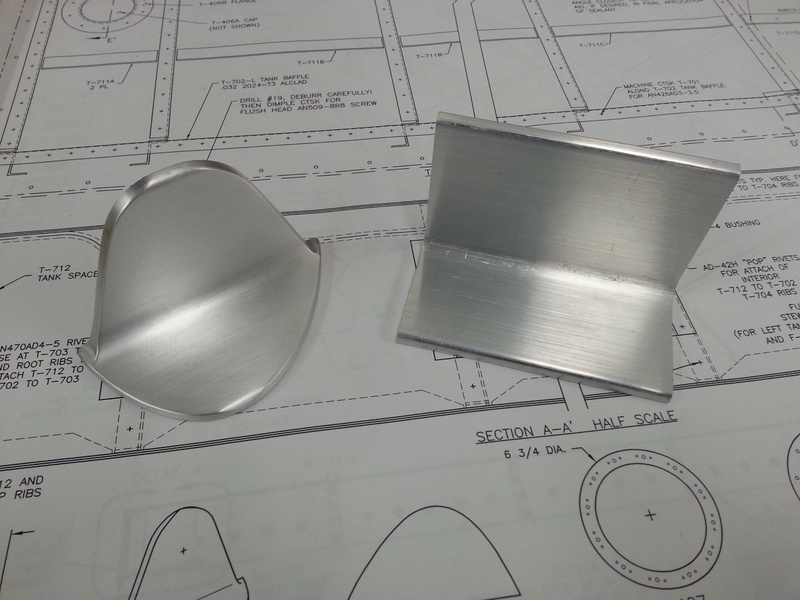 Got a little shop time in and was able to get the T-405 for the left tank cut complete and deburred. It was kind of cool to take a raw angle and a drawing and make a part appear that looked like a real airplane part. Now the challenge is to mirror it for the right hand tank. It was late so I called it a night.